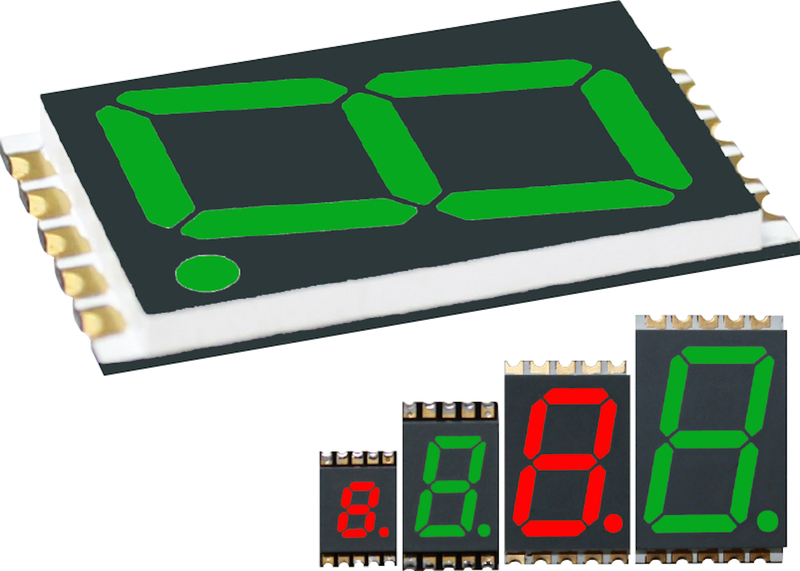 DSM Series surface mount, single-digit display provides cost savings and innovative design opportunities due to its minimum thickness of 0.083” (2.10mm)... VCC Develops Industry's Thinnest Seven-segment LED Display SAN DIEGO, CA (November 12, 2015) — VCC, the global leader in indication and specialty illumination solutions, is launching a lightweight, ultra thin seven-segment LED display. The surface mountable DSM Series single-digit display utilizes patented technology to deliver a thickness of only 0.083” (2.10mm). By reducing the required thickness of a printed circuit board, the DSM Series delivers significant cost savings and expanded design opportunities. The DSM Series supports top mount and reverse mount applications, offering additional design flexibility. The ultra thin seven-segment LED display is ideal for a wide range of applications including, appliances, automation & controls, industrial devices, food preparation equipment, light control, medical devices, people movers, telecom, transportation, white goods and more. The low-current, low-power design delivers a bright light output with optimal visual appearance. The rugged, highly reliable DSM Series single-digit LED display is rated to a Moisture Sensitive Level (MSL) of 2a, and offers a life expectancy of more than 100,000 hours. The DSM Series is available in four different digit heights, including 0.20, 0.30, 0,56 or 0.70 inch, and super bright red or pure green colors. "By employing exclusive patented technology, we were able to create the smallest seven-segment LED display on the market, that offers lower power consumption, brighter light output and more design flexibility than competing products," said Sannah Vinding, Director of Product Development and Marketing at VCC. "The DSM Series is technically and mechanically ruggedized for a wide range of applications." Packaged in tape and reel for automated SMT manufacturing to reduce production time and cost, the DSM Series also easily mounts to PCBs or sockets to simplify assembly. For more information on the DSM Series, visit http://vcclite.com/_pdf/DSM7UA70105.pdf To check VCC’s vast inventory of indicator products, visit http://vcclite.com About VCC Based in greater San Diego, California, Visual Communications Company, LLC, is the leader in illuminated components. VCC is the recognized leader in the development and manufacturing of innovative LED, incandescent, neon and specialty indicator light solutions and light pipes for global markets including aerospace, food service, people movers, transportation, medical, IoT and industrial. VCC provides custom and standard solutions with their design engineering expertise, superior customer service and broadest product line in the industry to exceed user experience. With 40+ years of experience, VCC and its distributors serve customers all over the world. VCC is changing the way of communication visually and indications needs. Learn more atwww.vcclite.com.